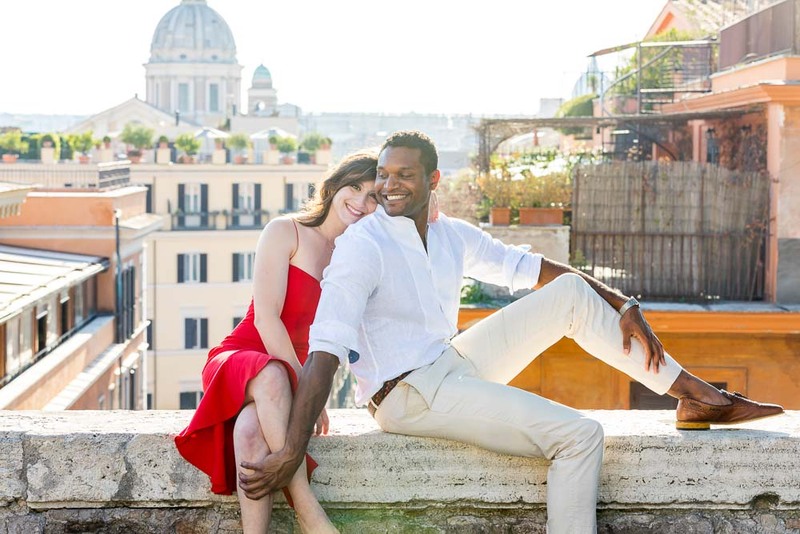 While taking some really nice pictures of being together in the eternal city of Rome! 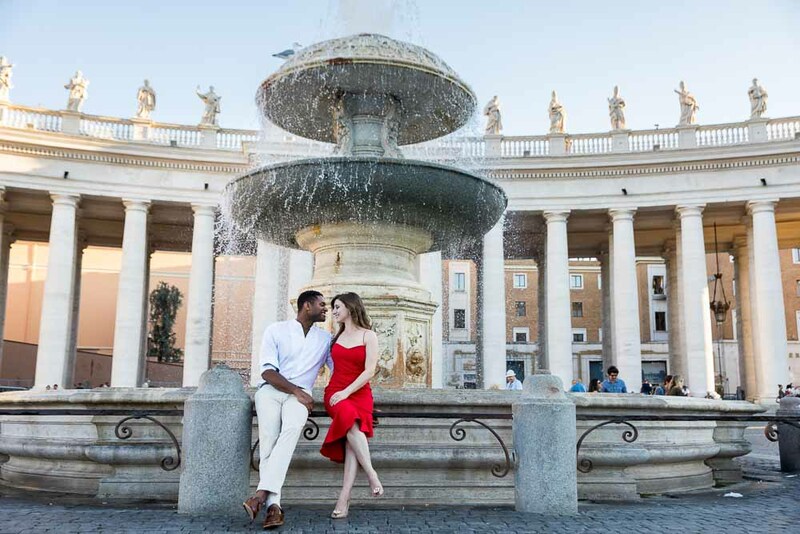 With the couple photo shoot starting with a minivan car pick up from Via Nazionale in Rome. 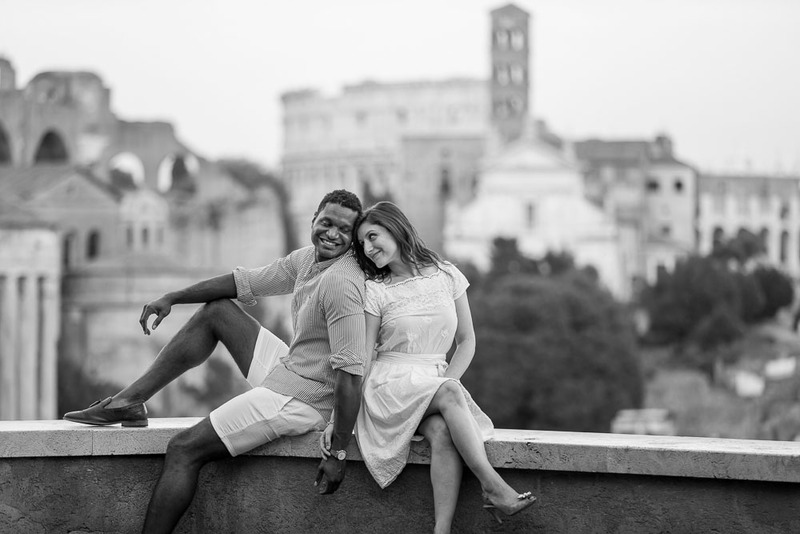 Then heading out to Parco del Pincio to capture some breathtaking views over the roman skyline. Which played out great in both color and black and white photography. Including some nice glimpses over the city view. While standing next to a typical light pole which you may often find around the city. Then on the actual rooftop terrace Pincio overlook. Shooting some really nice pictures of enjoying the view, being in love and visiting the city. Our next stop was Saint Peter’s square. Where we stood underneath the large massive marble columns. Which all line up when you stand in the ‘center of the square’. A nice geometrical effect! After taking some more snapshots underneath the Basilica. We stopped by the Swiss Guards to take a nice portrait with them! Then it was time to reach the Campidoglio square. Where we found a wide range of picture opportunities. From large roman marble statues. 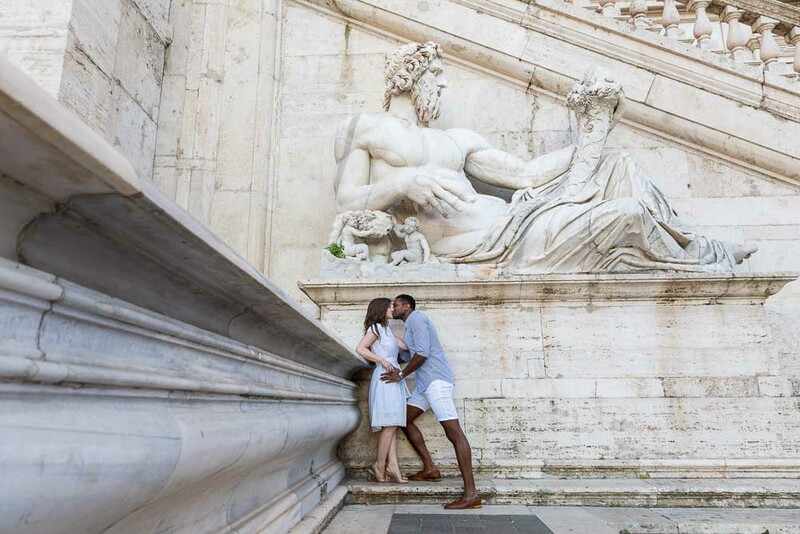 To scenic staircases and ancient columns. Not to mention the fantastic view over the Roman Forum. Last but not least. 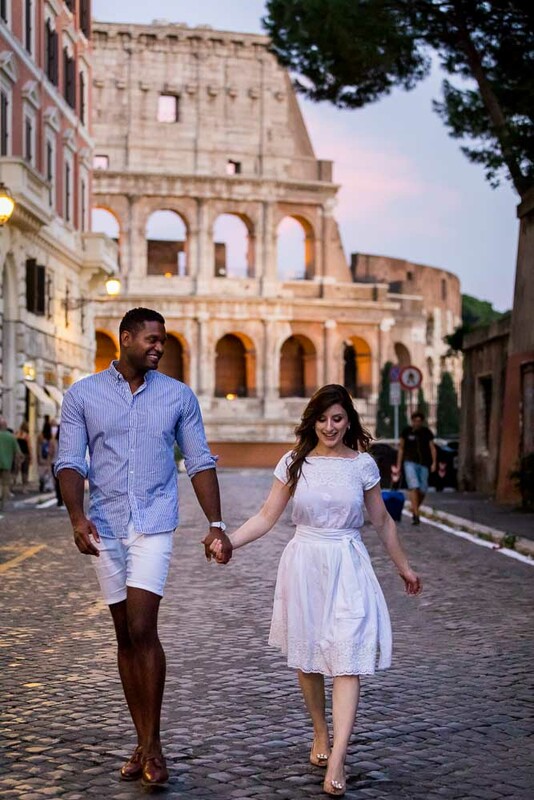 We ended the photo shoot at the Roman Colosseum where we took pictures in this unique cobblestone alleyway. With the ancient Coliseum in the background. Ending the session on the Colle Oppio hill. With a very unique view over the this incredible landmark. With creative and artistic silhouette pictures! 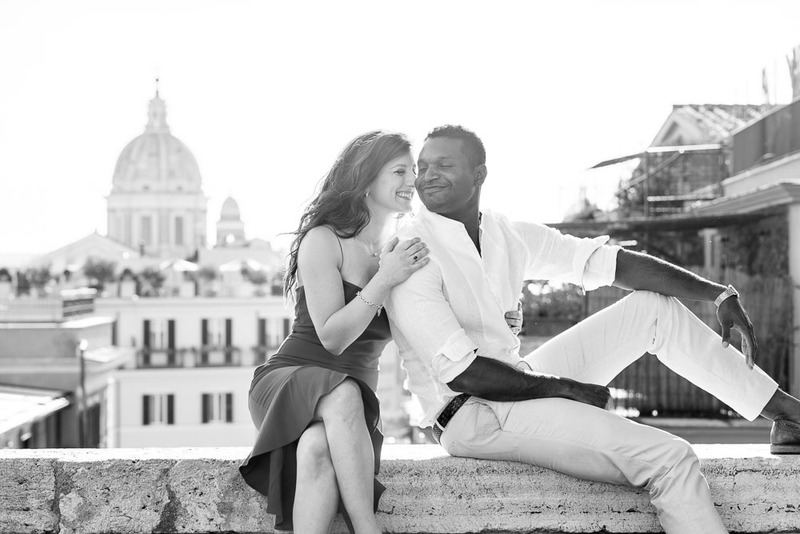 ”My fiancé and I did a 3 hour engagement shoot with Andrea during our vacation in Italy. It was, hands down, the highlight of our trip. Andrea was fantastic to work with: he was charismatic, enthusiastic, and funny, which honestly helped us bring our real selves into the pictures we were taking. We chose to hire the car service as part of our package, which was BRILLIANT. It allowed us to spend the least amount of time in transit, and maximize as many locations across the city as we could. It also provided us a safe space to leave our belongings and change outfits along the way! 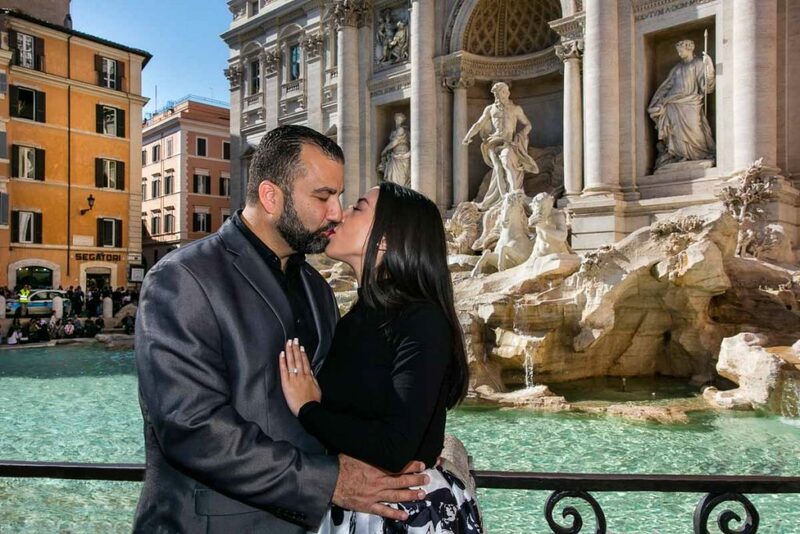 Our pictures came out better than we could have ever hoped for, and Andrea had them back to us at lightening speed. 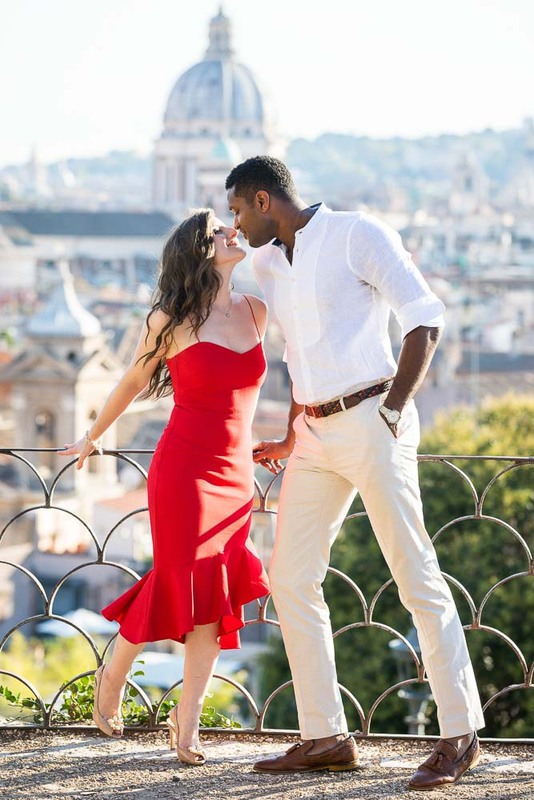 If you're thinking about getting professional photos taken while in Italy, do not hesitate to work with Andrea. You will be glad you did!! Curated imagery by Andrea Matone photography studio. 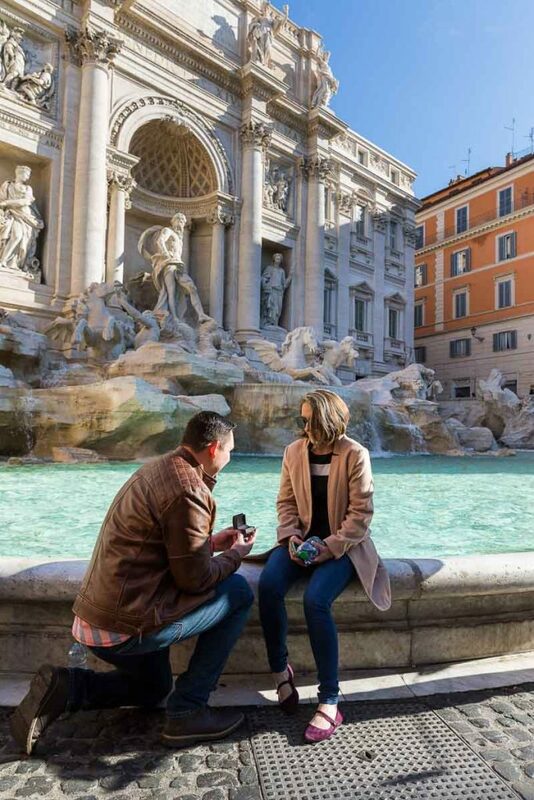 Start Here to Learn More about a photo session in Italy. Click Here for pricing and reservations. 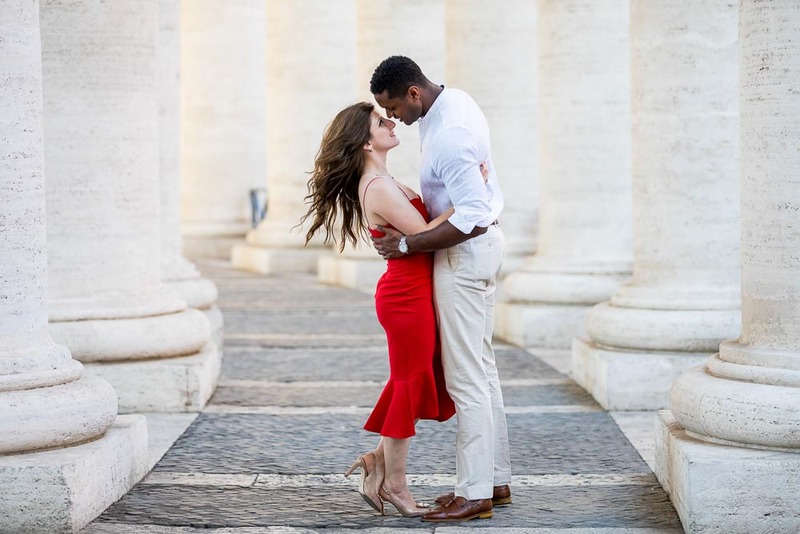 Celebrating romance in Rome Italy! 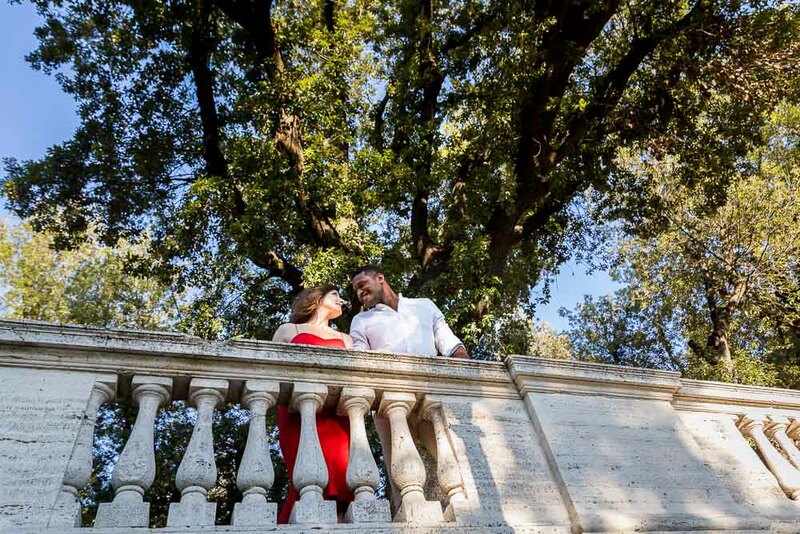 A charming photo session around the city in search for the perfect picture!